Charlotte Brontë’s romantic gothic novel, featuring one of literature’s most memorable heroines. With her 1847 novel, Jane Eyre, Charlotte Brontë created one of the most unforgettable heroines of all time. Jane Eyre is an orphan, penniless and plain, but full of courage and spirit. She has endured incredible hardship to secure her humble status as a governess in the household of her brooding employer, Mr. Rochester. Jane’s sharp wit and defiant nature meet with Rochester’s sardonic temperament. The two become enmeshed in a deep, intense bond. But Rochester has a terrible secret—a remnant from his past that could threaten any hope of happiness with his only love. 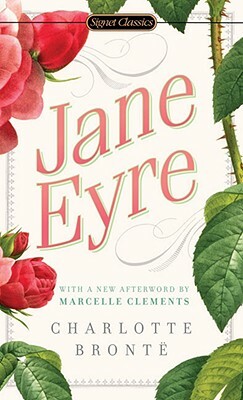 An unconventional love story that broadened the scope of romantic fiction, Jane Eyre is ultimately the tale of one woman’s fight to claim her independence and self-respect in a society that has no place for her. Charlotte Brontë (1816-55) was the third of the three famous Brontë sisters. Together with her sisters, Charlotte published Poems by Currer, Ellis, and Acton Bell (the pseudonyms of Charlotte, Emily, and Anne). Though this sold a disappointing two copies, the publication of Jane Eyre in 1847 achieved immediate success, and stirred much speculation about the identity of “Currer Bell.” Charlotte eventually revealed her identity, and later wrote Shirley (1849) and Villette (1853). Erica Jong is a poet and New York Times bestselling author of nine novels, including Fear of Flying, How to Save Your Own Life, Fanny, Sappho’s Leap, and Fear of Dying. She continues to be vocal on the subjects of women, writing, and her generation, as in her memoirs, Fear of Fifty and Seducing the Demon: Writing for My Life. Her many honors include the United Nations Award for Excellence in Literature and Poetry magazine’s Bess Hokin Prize. Marcelle Clements is a novelist and journalist who has contributed articles on culture, the arts, and politics to many national publications. She is the author of two books of nonfiction, The Dog Is Us and The Improvised Woman, and the novels Rock Me and Midsummer. She teaches at New York University.